Set in Eastern China in the mid-19th century Qing Dynasty, Rosy Business tells a story of the mercantile Chiang family and the ambition and jealousy surrounding the issue of who will inherit the family business when Chiang Kiu dies. 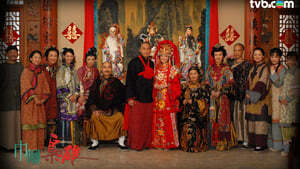 The story surrounds the life of Hong Po-kei, who marries into the Chiang family as Chiang Kiu's fourth wife. She gains ownership of Hing Fung Nin, the family rice shop, and guides the ambitious coolie Chai Kau to rise in the social status ladder.